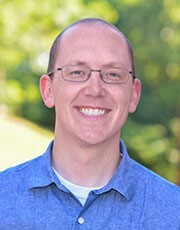 Pastor Chris Newkirk is lead pastor at Whitton Avenue Bible Church in Phoenix, AZ. Below, he tells his story of how he was trained for pastoral ministry and shares his desire to train seminary students for ministry in the context of the local church in partnership with Phoenix Seminary’s Ministry Apprenticeship Alliance, through which a student may earn up to 18 hours of MDiv credit in the local church. I have a rich spiritual heritage. I had the opportunity to receive excellent theological training for both my Masters and Doctoral studies. I was able to do independent studies under excellent scholars. I was able to overlap my life with professors to help them complete books. My seminary experience could not have been more positive. But, even more important, the Lord blessed me with a myriad of spiritual mentors through internships and residency programs. I had the chance to learn from mentors like Mark Dever, Gregg Allison, and Steve Childers. Not only that, but my father was a local church pastor for over 42 years and my best friend and older brother has been in vocational ministry for decades. I have been invested in and been given a great trust. I have personally been blessed by men who have lived out the obligation of 2 Timothy 2:2. Unfortunately, my rich experience with so many mentors makes me an anomaly. Most ministers receive only a small amount of the personal investment that I have received. Maybe they had a great youth pastor who poured into them. Maybe their Cru mentor really poured into them. Maybe they have had a great experience at seminary. And, while each of these opportunities are a profound gift of God, faithful and healthy ministers need more. Paul trained and raised up mature followers of Christ not just by imparting abstract knowledge. His training was not sterile or given in a vacuum. Rather, he was “like a nursing mother.” He affectionately cared for them as his own children. He shared with them not only sound doctrine, he gave away his own life! He invited these Christians into his life and gave himself, in all respects, to them. And, this is what it takes to raise up the next generation of ministers. We absolutely need seminaries where men and women are formally trained by godly scholars in areas that, frankly, no local church is equipped to teach. We need humble, godly professors like the faculty at Phoenix Seminary who use their unique giftings to train ministers to handle God’s Word faithfully. And yet, seminaries must not be the sum and substance of a minister’s training. You can’t learn to handle conflict simply from a text book or case study. You can’t learn to grieve with a new widow by reading or hearing about it. What do you do when the member confesses to engaging in an affair? How to handle unfair criticism? How does church discipline play out with a prominent member? These are all questions where concrete, on-the-ground ministry experience can make all the difference. This is why the seminary needs the church and the church needs the seminary. As the seminary nurtures and feeds the student’s heart and mind, the church must do its indispensable part to lead in formation, counsel, and hands-on experience. 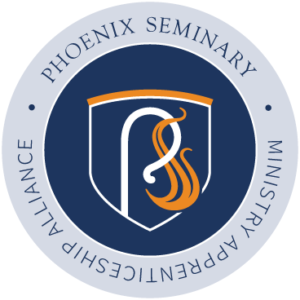 It is this indispensability of the local church that has propelled Whitton Avenue Bible Church to participate in Phoenix Seminary’s unique Ministry Apprenticeship Alliance program. Starting this year, we are offering classes to help students learn practical ministry within the context where many of those ministries actually take place. As part of this program, Whitton Avenue has also started an internship program designed especially with students in mind. As a church, we are committed to partnering with Phoenix Seminary to invest in you. We would love for you to apply to the internship program at Whitton Avenue. With this partnership, we hope the Lord will bless a new generation of Christian leaders, expanding hearts and minds for the Gospel of Jesus Christ, for the good of the local church, and all to the glory of God the Father. Chris is the Lead Pastor of Whitton Avenue Bible Church in central Phoenix. Prior to serving in Phoenix, Chris has served in churches in Oklahoma City, Louisville, and Washington D.C. over the course of almost 15 years of vocational ministry. He received his Master’s of Divinity from Southern Seminary in Louisville, Kentucky and his Doctorate of Ministry from the Reformed Theological Seminary of Orlando, Florida. Chris and his wife, Andrea, have two boys.